An ex-servicemen rally for veterans from the districts of Kohima, Phek, Wokha and Zunheboto will be organized on May 22 next at the Assam Rifles Garrison in Kohima of Nagaland. The event is being organized by Assam Rifles under the aegis HQ IGAR (North). The rally will commence from 8:30 am and registration of all ex-servicemen will be carried out on arrival. This was stated in a press release issued by the Assam Rifles. The release stated that the aim of the rally is to reach out to ex-servicemen, veer naris (brave women), widows and their wards for their comprehensive welfare, with special focus on disabled soldiers as this year being the ‘Year of Disabled Soldiers’. The rally will focus on the issues of ex-servicemen, to include updating of records, pension anomalies redressal, entitlements of disabled soldiers, medical and dental check-up, redressal of Ex-servicemen Contributory Health Scheme and canteen card, redressal of banking, Aadhaar and PAN card, avenues for recruitment in the Army, skill development/employment generation through state government agencies and redressal of issues with regard to civil administration, the release added. 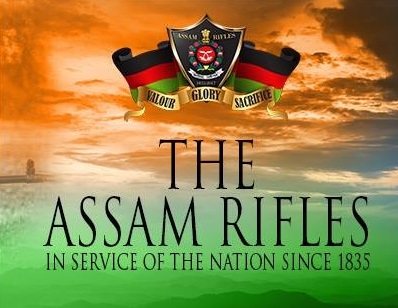 Residential and dining arrangements for the ex-servicemen have also been catered by Assam Rifles for those desirous. Various stalls to address specific grievances/issues of ex-servicemen will be established. Interactive sessions will also be held to create awareness amongst the ex-servicemen, veer naris (brave women), widows and their wards regarding various benefits and entitlements. Felicitation of wounded soldiers and veer naris (brave women) will also be carried out on the occasion, the release further stated.